Copyright 2011 NCP. All rights reserved. NCP offers competitive pricing, short lead times, and unparalleled quality. All product is cleaned and given a final inspection before being packaged and shipped to you door. NCP utilizes AutoCad 2002, so please send us your .dwg or .dxf file and we would be happy to provide you with a fast quote. 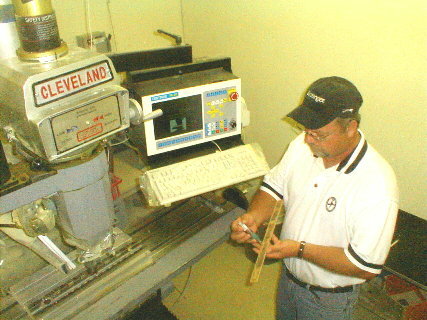 North Coast Profile was founded in Alliance, Ohio in 1989 as a precision machining, routing and drilling company. During the 1980's the electronic circuit board industry was booming in the Alliance area and President/CEO Dewayne Frank began NCP to offer circuit board manufacturers a local alternative for outsourcing milling, routing and drilling work. 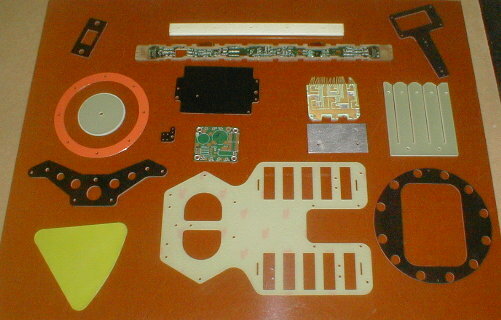 This venture proved successful, although in the 1990's the circuit board industry began to disappear from the area. NCP responded to the changing local business climate by expanding it's customer base and target industries. Today, NCP is still growing and serves a wide range of industries, from electronic circuit boards to the demolition industry. North Coast Profile would be honored to have the opportunity to add your company to our client base.